There are so many beer fests you could attend one just about every weekend thru Labor Day if you had a strong liver and the inclination. Once you arrive at a fest and are presented with an all you can drink craft beer buffet, how do ensure you have a night to remember. Scope out the breweries and the beers they are bringing ahead of time. 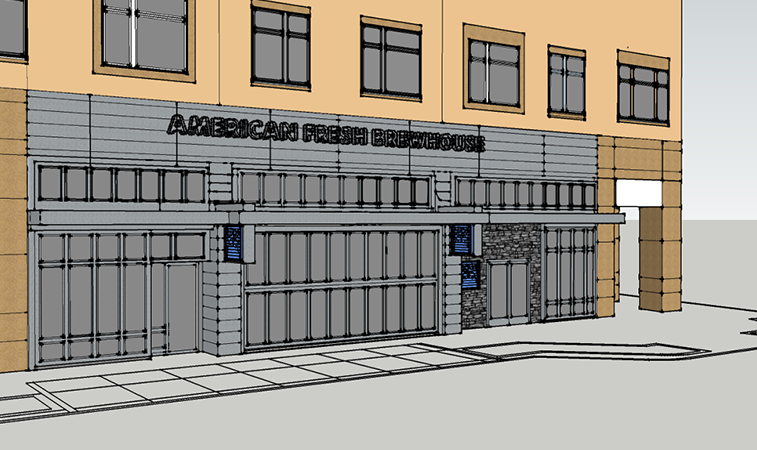 Most fests keep an update-to- date list of what breweries and beers will be there. Check this out and make a list of the places and beers you want to try first. If a beer is good it will "kick" before the end of the night. Don't miss out on having one of the "best beers of the fest" b/c you didn't do your homework. Ask around. Once you arrive at a fest ask your friends, people waiting in line or check out Twitter to find out what are the must have beers. Pro tip: if you are attending a later session use Facebook or Twitter to find out what beers to get from folks who have already been to the fest. You get to meet the brewers! At many of the fests in New England the brewers are actually the ones pouring the beers. Take advantage of this fantastic opportunity to get to know the people behind the libations that flow freely into your gullet. Pro tip: when talking to a brewer never, ever, ever ask them "what's your strongest beer." This is a sure way to elicit serious eye rolling by the brewer who you may see again at another event. Be Festive. It's a beer fest. Wear your best beer swag and live it up. 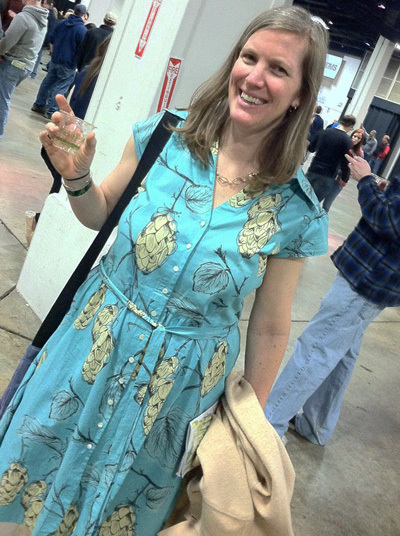 I've gotten so into it that I have beer dresses custom made for me to wear to beer events. This is not only fun but also gets you noticed and helps you with #2. 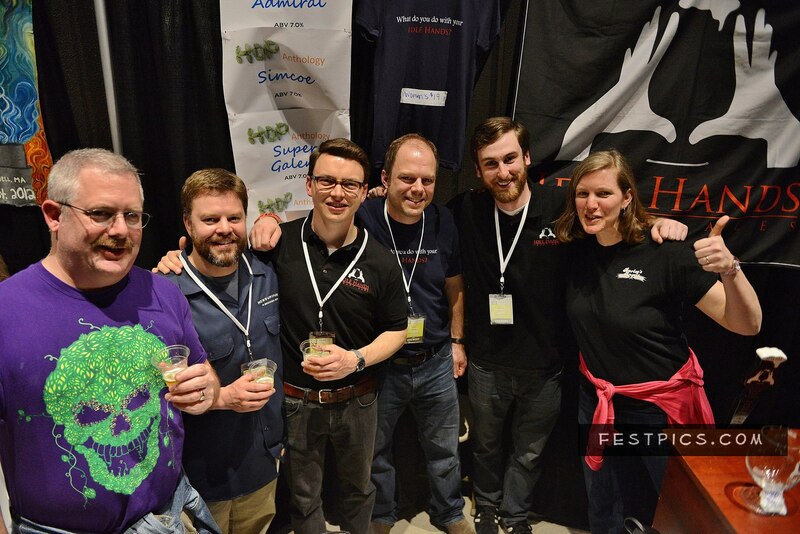 You may also find yourself within the pages of Yankee Brew News, BeerAdvocate or Fest Pics by Mike Johnson . Fill you tummy with more than beer. Most fests have terrific things to nosh on including hoppy pickles, grilled cheese sandwiches, waffles or the famous Frito pie from Mei Mei. Seriously, eat something so that you can still stand up and know that you are supporting some great local businesses. You get what you pay for. It is absolutely worth it to plunk down the extra cash for a fest. In my experience the fests that cost a bit more are less crowded, have a much nicer ambiance as opposed to a frat party and may have extra special beers that you can't get anywhere else. Do it. You will thank me later. Have fun. At the end of the day it's just beer. 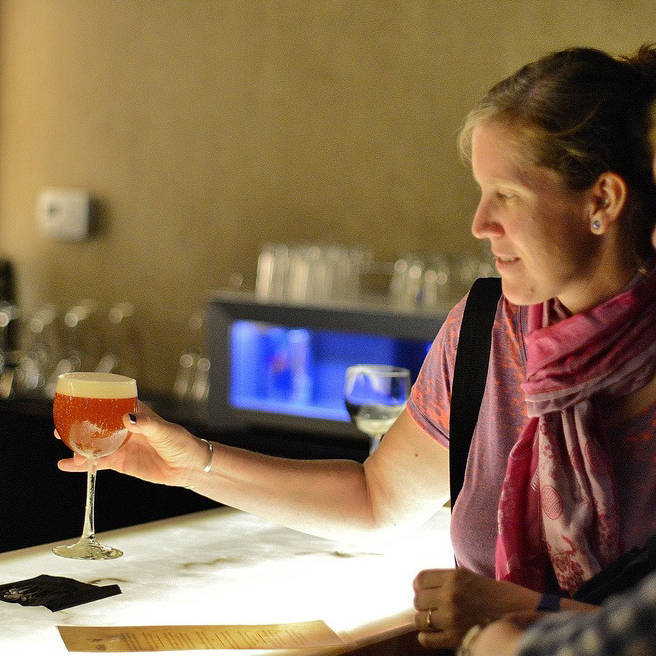 - Kristen Sykes is the President and Founder of the Boston Area Beer Enthusiasts Society (BABES). The goal of BABES is to introduce women to new beer styles, food and beer pairings, beer professionals and all things related to beer. We also support women in the beer industry and promote the positive imagery of women who enjoy beer. We take our beer seriously but don't take ourselves too seriously and overall have aim to have fun! Men who support women who love beer are welcome.